#GivingTuesday is a global day of giving fueled by the power of social media and collaboration. Celebrated on the Tuesday following Thanksgiving and the widely recognized shopping events Black Friday and Cyber Monday, #GivingTuesday kicks off the charitable season, when many focus on their holiday and end-of-year giving. One of the best ways to get involved is in your own community. 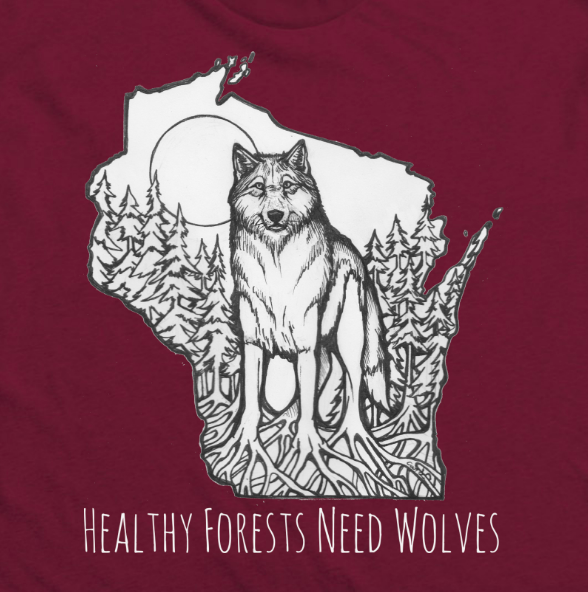 Friends of the Wisconsin Wolf & Wildlife continues to actively protect the wolf in Wisconsin and throughout the great lakes region. Our advocacy is a leading voice for the wolf as we activate grassroots advocacy and work to educate lawmakers and the public about the importance of protecting wolves for future generations. Your support helps make our work possible. Protect the biodiversity of the Great Lakes by addressing the root causes of biodiversity decline—attacks on threatened and endangered species protections and the lack of connectivity, particularly for threatened keystone species. We implement tactics that defend protections, increase connectivity and address wildlife mismanagement. As a grassroots organization, we mobilize local organizations, activists, and spokespeople to stand up for wildlife. We defend threatened and endangered species at the federal level, strengthen protections for wildlife at the state level, and build a movement to support wildlife. We mobilize local organizations and activists to oppose any weakening of federal endangered species protections. For the Great Lakes region, in particular, we stand against the delisting of wolves. We cultivate spokespeople for wolves, bringing their advocacy to decision-makers. We provide a platform for people like Mary Falk, who raises sheep in wolf country and is a strong supporter of wolves, and give them opportunities to pressure governors, state legislators, Congress and the administration. We also advocate for the best wildlife management at the state level. This includes tactics such as advocating for stronger state management plans and implementing policies that increase connectivity for wildlife. It include advocating against anti-wildlife policies, which may include stopping wildlife killing contests, excessive hunting, indiscriminate trapping and/or widespread hounding. These policies isolate keystone species, such as wolves. Lastly, we focus on efforts to build a movement of active wildlife supporters using outreach and engagement tactics. For instance, we sway public opinion by reinforcing a positive symbolism of wolves, picking up on the values held by Americans. We carry out habitat restoration activities with volunteers. And we hold Endangered Species Day events that educate and engage key constituencies.